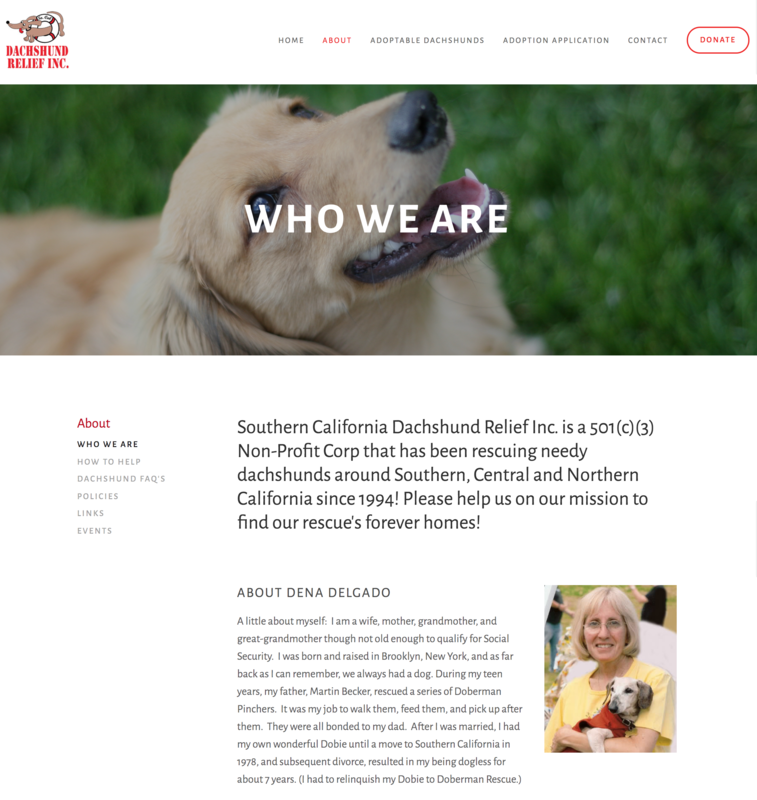 The Southern California Dachshund Relief Inc. has been a dachshund rescue since 1994 and has rescued over 2500 dogs. They highly rely on a website that allows them to showcase dogs, talk about their work and gain information about potential adopters. 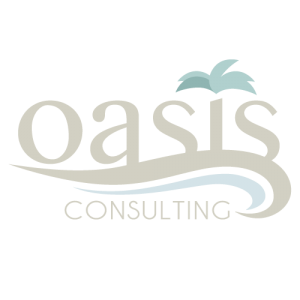 We were able to help them completely re-do their site using squarespace to be easier for users to navigate and add more photo elements for their friendly design. 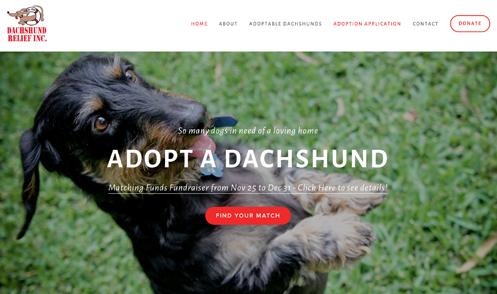 Now they are able to highlight adoptable dogs and get adoption applications more easily.